Try one of our mouth-watering pizzas, salads, or sides! Main Street’s pizzas have more toppings and cheese than the national chains with 14 toppings to choose from. We also have gluten-free pizzas available. Click the links below to check out the corresponding section of our menu. 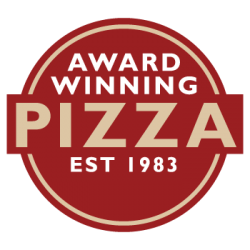 Delivery Available to your workplace if you are within 5 miles of a Main Street Pizza on orders of $50.00 or more. Please give us at least 1 day advanced notice.